CATHE Center has 3 spaces available for rent, our A-framed theater/sanctuary space is our largest space and is great for large parties, recitals, weddings or ceremonies. Downstairs at CATHE, we have a gymnasium space perfect for kid's birthday parties or sports activities. We also have our Green room. A recreational room area, this room is perfect for showers, birthday parties, and more! We also have a commercial style kitchen at the CATHE Center. The kitchen can be rented out on its own or can be used (for a fee) with any other space for those using the building for parties or events. All our CATHE Center spaces rent for $150 for the day. There is a $50 cleaning deposit on all spaces and an additional $50 for use of the CATHE Kitchen. In addition, those using the building can use tables or chairs or rent kitchenware. Please email cathecenter@gmail.com for details. The CATHE House has a beautiful, open living room and dining room that can be rented out for showers, birthday parties, meetings or classes. This space rents for $50/day with a $50 cleaning deposit. There is also access to the CATHE house kitchen! Email cathecenter@gmail.com for details. 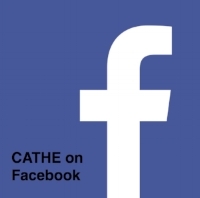 We also offer Weddings at the CATHE Center. Weddings use the full building and can be set up with our Director via cathecenter@gmail.com.